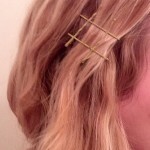 I just scored the best at-home blow-out tip from Butterfly Studio stylist Dana Tizzio. I’ve long been rough drying my hair just a few minutes to get it about 50% dry, then going at it with a round brush. Or, I’ll half blow it out with my Mason Pearson and then get the round brush going, mostly because I’m worried simply using my fingers won’t straighten my natural wave/curl at the roots or my mousse/thickening spray won’t properly amplify my roots sans stickiness without a brush in the mix. Dana suggests you rough dry, pulling the hair taught with your fingers to get it to be 100% dry before smoothing with a round brush after. 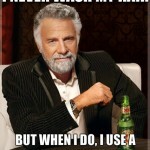 It causes less breakage than styling hair wet with a brush. Dana’s pick? An Ariel boar bristle small round brush for more defined waves and you’re good to go. Seriously, my blowout with her took less than 15 minutes. The best news? You can even wash at night and air-dry or rough dry and then smooth out your ‘do in the morning. Genius. 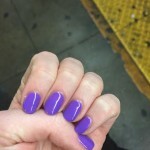 Go see Dana at Butterfly Studio, 149 5th Avenue, 2nd floor. 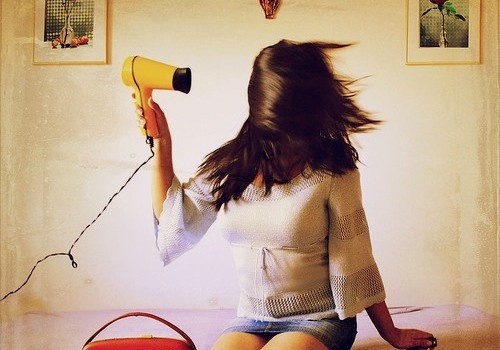 Have you learned any time-saving hair tricks of late?